'Tennis Leg' is a term used to describe stretches, tears, or incomplete ruptures of the large calf muscles (gastrocnemius) in the back of the lower leg, just under the knee. Tennis leg happens when lunging or pushing off one leg to get to a wide ball or serve. This may also happen with daily activities such as running to catch a bus or climbing stairs. It feels like being kicked in the leg from behind. The tennis leg sufferer feels an quick severe sharp pain, turns around to see who kicked them, only to discover that no one is there. This type of injury usually occurs in middle-age athletes, as we age muscle flexibility decreases, experience early stages of muscle loss and degeneration due to the aging and/or inactivity. Signs and symptoms of the injury can be obvious - sudden, sharp or burning pain (sometimes along with a popping sound), swelling to the area, a bruise often develops and area very tender to the touch. You can walk but by altering your walking pattern, often walking on the toes to prevent upward bending of the ankle. There are three grades to a Tennis Leg injury. Grade 1 - a minor tear of the muscle (10% of the muscle fibers). You may be able to continue your activity because the pain is minor twinge in your calf. The calf muscle feels achy and tightness for two to five days after the injury, recovery for healing is 7 to 10 days. Grade 3 - complete tearing of over 90% of the calf muscle or rupture. This is the most painful of all the grades of Tennis Leg, causing immediate severe pain, considerable bruising and swelling in the calf. Walking will be aided with crutches, achy, tightness for about 30 to 35 days, recovery for healing within about three to four months. As the pain may appear high up in the back of the calf, it can be confused with deep venous thrombosis, acute compartment syndrome, and cellulitis - all of which are serious life-threatening conditions. If you are experiencing similar symptoms, seek medical attention. The doctor should perform an MRI for correct diagnosis between the two conditions. How Do You Treat Tennis Leg? We Have Home Treatment Tools to Help You With Your Tennis Leg! After proper diagnosis of tennis leg syndrome, your doctor will assess your particular case and determine a course of action. In most cases, a conservative treatment protocol will be enough to heal the injury, though in cases such as significant tearing or a fully ruptured calf muscle, surgery is pretty much a guarantee. It is generally understood by doctors and surgeons, that surgery will introduce more scar tissue into the any already damaged tissue. This added scar tissue will be problematic, requiring more physical therapy and conservative treatment options post-surgery. If not dealt with properly, your calf muscle injury could end up in worse condition than before the surgery! This is why surgery is only performed as a last resort. Rest - This is important for initial healing because without proper rest you're at risk for increased pain, inflammation. This can make your calf injury even worse and turn an acute injury into a chronic one. This can be difficult when you have to carry on with daily activities, but resting and elevating your leg whenever you can is recommended as part of a standard conservative treatment protocol. During your recovery you will probably have to modify or avoid the activities that put stress on your calf muscle until your pain and inflammation settles. Avoid Activities that Caused Your Injury - While resting your leg it's also important to avoid all activities that may have caused your calf muscle damage (especially any strenuous or repetitive movement). Continuing on with regular activities will not only make your injury worse. Use Deep Tissue Regeneration Therapy (DTR Therapy) - Once swelling has been reduced, you can use your own blood flow to maximize your rehabilitation, maintain healthy blood flow to your calf muscle and achilles, decrease recovery time, and boost the bodys healing rate. Promoting blood flow to your damaged muscle will help to minimize the growth of scar tissue, increase flexibility and help prevent atrophy. Physical Therapy - Surgery is usually the last resort. This means doctors or surgeons typically won't perform a surgery until they feel that their patient has put effort into treating their injury with conservative treatment methods. This may include up to 4 to 6 months of physical therapy. 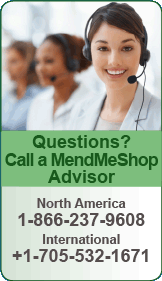 If you haven't experienced any improvement in your condition during that time then surgery may be considered. Agressive physical therapy approaches will focus on forced or manual manipulation of the leg - this means your physical therapists will be trying to extend your leg past the point of comfort as they strive to increase range of motion and prevent further atrophy. Stretching - Stretching your leg and heel in physical therapy and at home will help you to regain your range of motion much faster than not stretching at all. 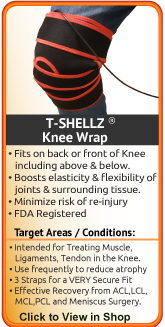 Stretching in many ways is key to maintaining good Range of Motion (ROM) in the knee and ankle , and stretching can be made much easier with use of a TShellz Wrap before to warm up soft tissue, and a Cold Compress or Ice Pack treatment after to prevent any return of swelling and inflammation. Continue the healing process by resting your leg as much as possible. Limit movements that may aggravate your calf muscles, leading to reinjury. Muscle related injuries can easily turn from a grade 1 calf muscle strain into a grade 2 or a grade 2 into a grade 3 tennis leg injury if proper care and attention is not followed. Grade 1 Tennis Leg Strain/Tear - A Typical recommendation would be to walk with the use of partial weight bearing crutches. The use of quarter to a half inch heel lift in both shoes may also offer some relief by reducing tension on the strain in your leg. Resting from activities that aggravate your calf muscle should be about 3 weeks. 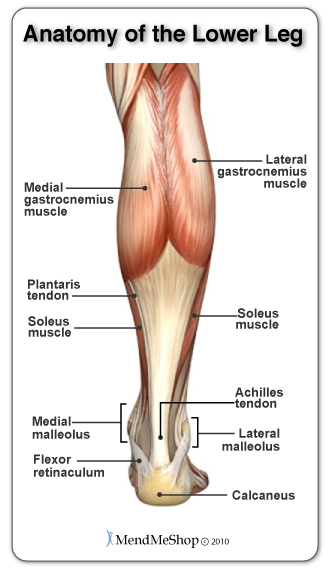 Grade 2 Tennis Leg Strain/Tear - Usually, the the calf would be immobilized with the foot slightly pointed downwards (in something called a "hanging enquinus position") for anywhere between three to six weeks to allow the muscle fibers to heal. Physical therapy program with stretching exercises will be essential once out of the cast/brace before returning to activity. Resting from activities that aggravate your calf muscle should be about 4 to 8 weeks. Grade 3 Tennis Leg Strain/Tear - The calf would probably be immobilized (as mentioned previously with a Grade 2 tennis leg strain). 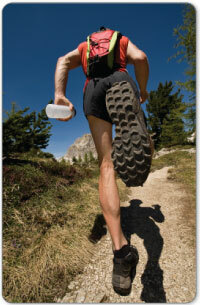 Rest from activities that aggravate your calf muscle would probably last from 6 to 12 weeks. The 1st step for conservative treatment of your injury when treating conservatively or even after surgery is to reduce swelling to "open up" the area for more blood flow. Anyone in the health-care business knows that your blood supplies the oxygen and much needed nutrients required for your body to heal naturally after surgery. This is why doctors and surgeons recommend cold compression within the first 72 hours of an injury and following surgery. Cold Therapy is recommended to reduce pain, swelling and tissue damage. Many doctors, surgeons and physical therapists consider cold compression to be the gold standard for treatment of inflammation and pain. On-going cold compression treatments can reduce, or even eliminate, the need for NSAIDs or other medications that can be harmful to your body. 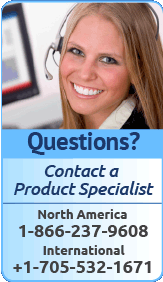 Cold Therapy is known and trusted by most medical professionals. This is why for years doctors, trainers and other medical professionals have recommended RICE (Rest, Ice, Compression, Elevation) to treat the pain and swelling of fresh injuries, chronic pain, after any re-injury, and especially after surgery. Cold is important for recent injuries because once blood vessels are blocked or damaged, they can no longer carry oxygenated blood through the tissue and tissue cells begin to break-down. Without cold compression cellular break-down and tissue damage continues as the cells don't get the oxygen they need to survive. By limiting the amount of damage done to your tissue, you also limit the amount of healing that needs to occur. This is a very important step to heal injuries faster and with less pain! This is why you need to treat your injury as soon as possible, when you notice pain / swelling / inflammation, directly after a re-injury or surgery. Applying a Cold Compress or Ice Pack right away will stop the damage immediately and unblock your blood vessels to let your body's natural blood flow in to start healing the tissue. 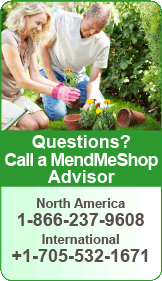 Anytime you feel your injury is making your injury feel tender, painful or you're having a flare-up of an old injury. 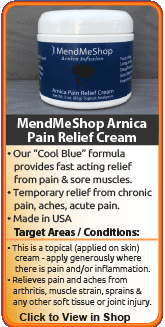 Any other situation where you need to draw the pain and inflammation out of your tissue. Promoting blood flow within a muscle or soft tissue injury to help the body heal itself is a concept that has been utilized for centuries. This is where the focus has to be if you are seeking long-term improvement. Oxygen and nutrients, carried within the blood, are critical for the body to heal itself. Without proper blood flow, recovering from an injury or condition will be delayed...sometimes for a very long period of time. The real challenge is how do you promote blood flow to the tendon without causing further injury? This goal is further complicated by the fact the calf muscle (which also is attached to the achilles tendon) is involved in the majority of any leg movements we perform each day. Electromagnetic energy is a form of energy will easily penetrate through clothing, skin, and fatty tissues... directly into your injured muscles and soft tissues within the calf and back of the leg. After the energy absorbs into the muscles and tendons, the metabolic response then kick starts the repair and rebuilding process. Research is continuing and soon, much of North America will know what the Far East and Europe has known for a long time; electromagnetic energy provides a wide range of health benefits for those not only suffering from calf muscle injuries, but for many other soft tissue ailments (plantar fasciitis, bursitis, tendinitis, Tenosynovitis, frozen shoulder, golfer's elbow, tennis elbow, hamstring strain etc.) as well. 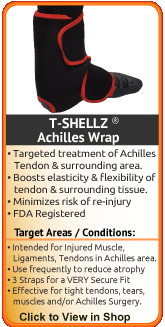 The best option we came across in our research to accomplish true healing of leg injuries is the Leg T•Shellz Wrap®. Use of this device results in a dramatic increase in blood flow to the injured tissues located deeper within the body - all in a non-invasive manner. Have you seen what happens when you add water to a flower wilted from drought? In essence, your injured leg is much like a "wilted" flower; your body wants to heal its injury, but needs lots of nutrients to do it. Blood brings new life to your cells by delivering healing nutrients and oxygen that are vital to your tissue. In addition, the blood carries away toxins and cellular waste cleaning the area and healing it faster. Without a good supply of blood, your calf muscle simply won't heal very quick. Using the T-Shell Wrap is truly a unique experience. Within moments of applying a treatment to your injured calf muscle, you can feel the sensation due to the increase in blood flow deep within the area. During a treatment, and for quite some time after you finish, the treated area will feel relaxed and warm. It's a very soothing sensation and extremely effective. 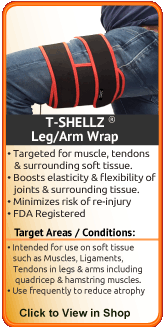 If you have injured your upper or lower leg, calf muscle, quadriceps muscle or other soft tissue in the thigh, calf or upper arm, then you would find the Leg T•Shellz Wrap® to be a great home treatment tool. If you have a chronic soft tissue condition that has lasted for years- this device will help start the rebuilding process and help strengthen the surrounding and supporting tissues. Many of our past clients had suffered for years, then were completely amazed at the results only after a few months of treatments. If you are still working with an injured leg muscle, the Leg T•Shellz Wrap® will help relax injured soft tissue prior to work and after a day at the job. If you are suffering from bursitis and want to treat the major source of it (secondary damage to the muscle and tendon surrounding the bursa sac). Through overuse or degenerative changes in the lower leg, the muscle and tendons surrounding the bursa sacs will tighten and constrict. When they do, they place pressure on bursae, causing them to become irritated. Applying a soothing and deep penetrating energy to the calf muscle will help relax soft tissue and take pressure off the bursae in the heel. If you are experiencing atrophy in your lower leg and want to reduce the chance of re-injury - this is a perfect tool to use on a regular basis that will temporarily extend and increase flexibility of soft tissue. Before you know you will be using your calf muscle and achilles (going to work, driving, running, walking, etc). 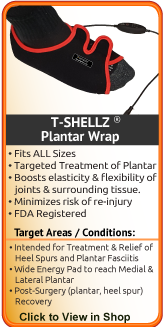 I want to learn more about the TShellz Wrap Deep Tissue Regeneration Therapy device.